The House Armed Services Committee has asked the Defense Department to provide more data on how it would establish and fund the new “space force,” SpaceNews reported Friday. HASC Chairman Mac Thornberry (R-Texas) has called on DoD to submit the data by Nov. 16 before the House panel endorses an approach to form the new space-focused service, according to a copy of the Oct. 4 letter obtained by the publication. The leaders of the House and Senate Armed Services Committees have asked the Defense Department to delay the implementation of a proposed rule that seeks to compensate contractors based on performance, Breaking Defense reported Tuesday. 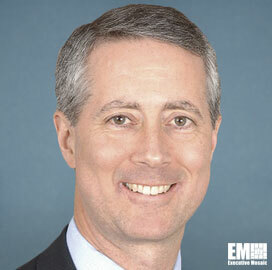 “We should not make it harder to do business with the Department of Defense than it is to do business with other parts of government — and that’s exactly what this regulation does,” HASC Chairman Rep. Mac Thornberry (R-Texas) told reporters Tuesday.